Extend the Blade Stealth's battery life to "past 15 hours"
Razer's original Blade Stealth was a solid entry into the ultrabook market, but it disappointed on the battery life department. The company made sure to address this in the follow up model (check out TechSpot's recent review of the Blade Stealth here) with a 20% larger battery, which when combined with Kaby Lake's improved efficiency in low power SKUs, significantly improved the laptop’s battery life. Today, Razer is announcing a new battery pack accessory that extends the Blade Stealth’s battery even further for those that are constantly on the go. 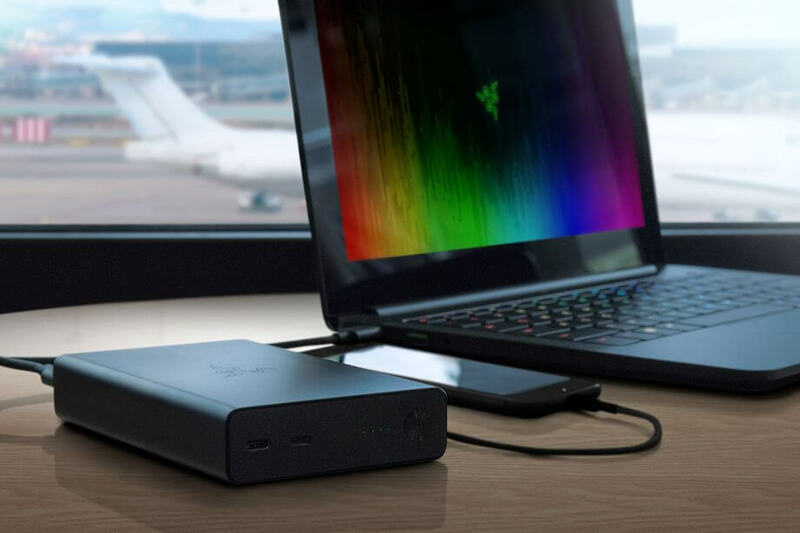 The Razer Power Bank packs in a large, 12,800mAh battery neatly wrapped around in a premium CNC aluminum, relatively compact casing. The external battery has two regular USB-A ports and a single USB-C port — meaning it’s compatible with other smartphones and laptops that can charge through these ports, not just the Blade Stealth. It can charge up to three devices simultaneously and supports Qualcomm’s Quick Charge 3.0 technology for speedy charging of compatible devices. According to Razer, you can top up the Blade Stealth with an extra six hours of battery life in two hours of charging, for a claimed 15 total hours of battery life. The Razer Power Bank will ship in March and priced at $150 — which is definitely on the pricier end of the spectrum. The company will be selling the portable battery exclusively at the Razer Store.